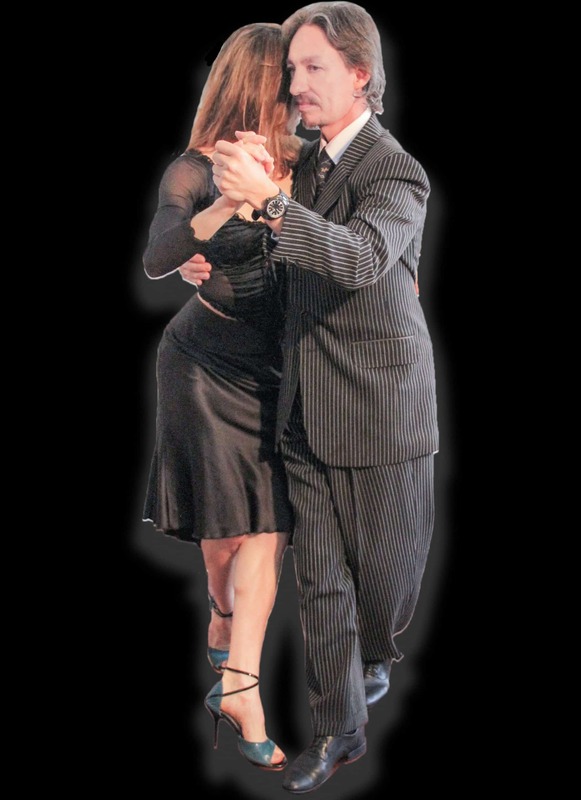 It only makes sense to learn Tango by learning simultaneously all its facets: moves, musicality, connection to the partner, social environment, history and culture. Any fragmentation of Tango in the process of teaching leads to misinterpretations. We begin with the posture. It is comfortable, relaxed, and functional in relation to dancing embracing and embraced by a partner. During the class we use a set of exercises to develop the moves and responses that you need to have in your body, in your muscle memory to be able to move harmonically with a partner in the situation of dancing at a milonga. These moves are connected to music. We practice those exercises at the beginning of every class. The moves would not be integrated in you muscle memory without repeating them a few times at every class or practice for a period of time. When we practice these exercises in a class, our objective is not just to use them in that class, but to gradually incorporate them in your muscle memory, so they are available in your muscle memory for the classes you’ll take later. We show you how Tango music and dance are intrinsically related. The exercises and moves that we do in class are always explained in relation to the music. After the initial exercises we give each student a task related to his or her experience and possibilities. We teach you to move on the line of dance from your very first class. You cannot really dance Tango without following the line of dance. Teaching Tango without teaching the line of dance is like teaching to drive in a parking lot, and never explain the basic rules of streets and highways. We work this aspect of Tango showing that what keeps the couple together is the commitment of both partners to move as a couple. We show what you are supposed to focus on to achieve that. We lead and follow you to explain it without ambiguity. Leaders ought to learn to follow to understand how to lead. We teach you what you must know to dance Tango as a good dancer in the Buenos Aires’ milongas. We will always tell you about the history, past and present of Tango, its music, its personalities and its culture. To know about Tango history, click here.